BGX features an experienced team, however I am unsure about their familiarity with blockchain technology. There are plenty of similar projects in the market, even though the market is fairly sizable, there is potential to do business here. The team will need to direct efforts towards marketing and advertising to make this project a success. The tokenization of the project needs rethinking as well. Things will become clearer when the MVP is out. Brief conclusions from the preliminary report to our investment club. 0. Experienced team with all the core positions covered. 1. KYC is missing yet. 2. No substantial blockchain expertise can be verified from public sources. 1. It is not unique. We've reviewed more than 10 similar or substituting solutions during the past 2 months. At least 3 from Canada. This market has enough space for several player, yet competition will be there. 0. MVP is yet to come. 1. Most product design elements look reasonable and realistic. 2. Speaking of the BGX token as a product of the BGX ICO: it doesn't have any substantial calculation to support its tokenomics. Based on the porposed ICO sof and hard caps and WP estimation of market adoption for BGX platform, we suggest a strong downward trend for the BGX token price in the several months following the ICO, unless some artificial market making efforts will be enacted. 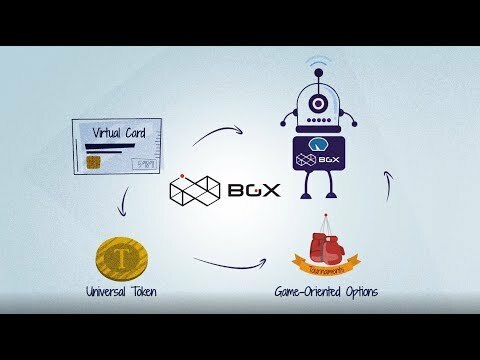 BGX is a decentralized multifunctional platform for mobile games powered by AI. The BGX is planning to support the entire economy of the mobiles games ecosystem, which is a pretty bold and hard to reach statement. The team is lacking experience in my opinion, some having a bit more - but average at best. The project will face heavy competition and the team does not bring the experience needed to tackle such a big industry, dominated by big names. Additionally, the team is looking to raise a lot of money, whereas if they do not raise enough only basic functions will be available instead of more advanced. If the project wants to succeed they will also need some big name partnerships, which they are currently lacking (except DigitalXpert).